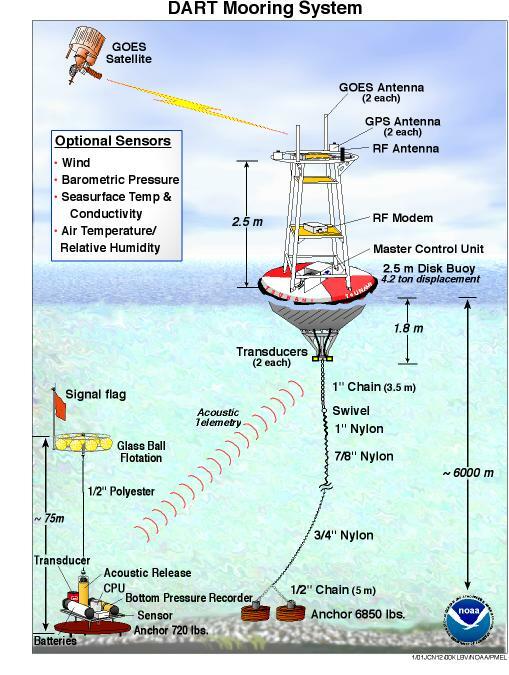 A DART® system consists of a seafloor bottom pressure recording (BPR) system capable of detecting tsunamis as small as 1 cm, and a moored surface buoy for real-time communications. 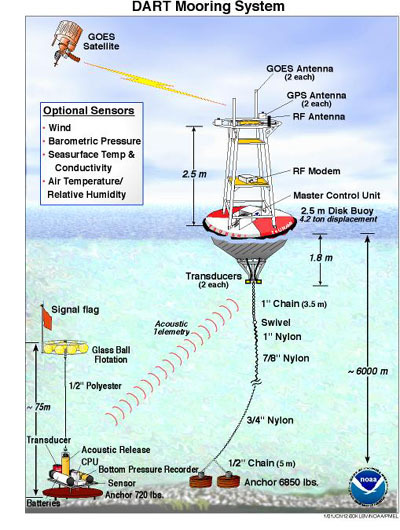 An acoustic link is used to transmit data from the BPR on the seafloor to the surface buoy. The data are then relayed via a GOES satellite link to ground stations, which demodulate the signals for immediate dissemination to NOAA's Tsunami Warning Centers and PMEL. News Update: DART II System.